Overlapping ravens build an electronic nest. 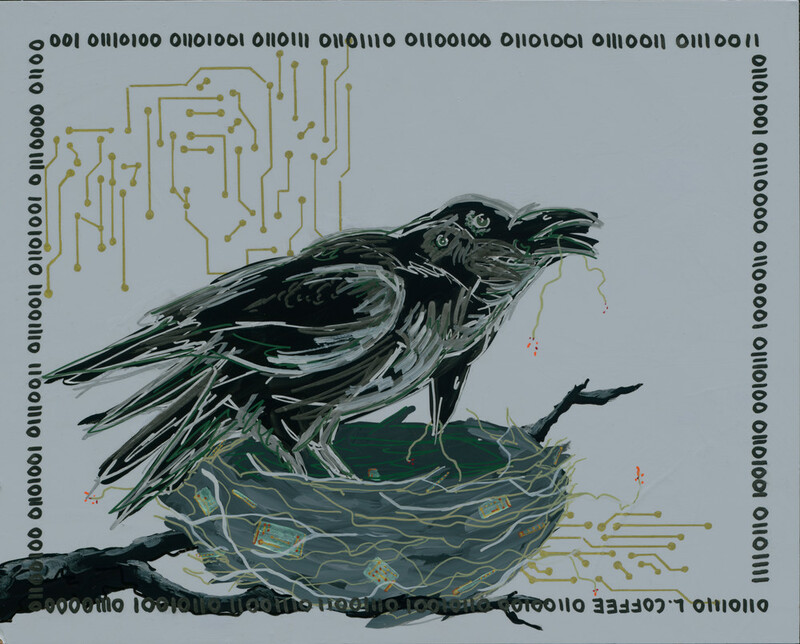 Three overlapping ravens build a nest of discarded electronic parts. Dissipation. Things are always in the process of falling apart. Fortunately, they also tend to come back together again. Here we see that continual process in motion, watching as something that was built and then broken is being transformed into something altogether new.